What? You haven't tried Joseph's Grainery Barley Flour yet? MaMa and I love to bake with Barley flour! It lends a bit of a nutty flavor and behaves more like an all purpose flour than a whole wheat flour. Here are a few of our favorite recipes that call for Barley Flour. Soft Barley Pretzels - Now these are a fun treat! Perfect to serve on the big game day...or any day for that matter. 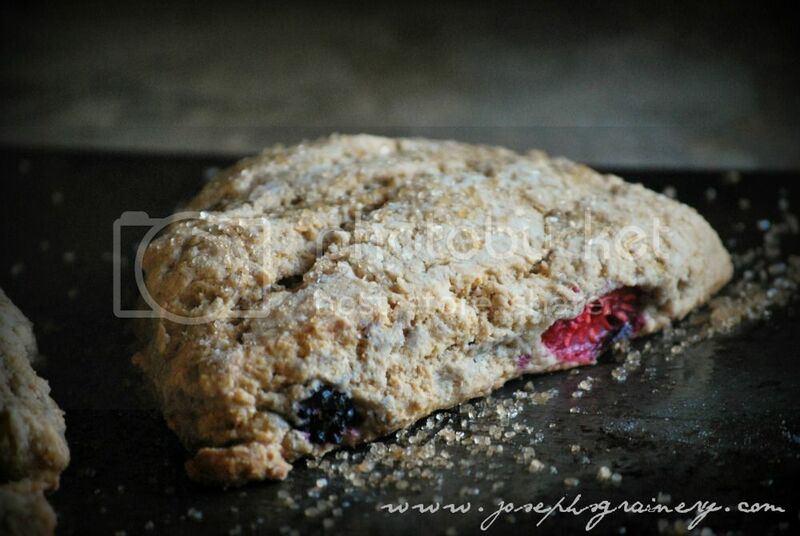 Berry Barley Scones - These scones are amazing! Whether for breakfast or tea time, you can't go wrong with these. 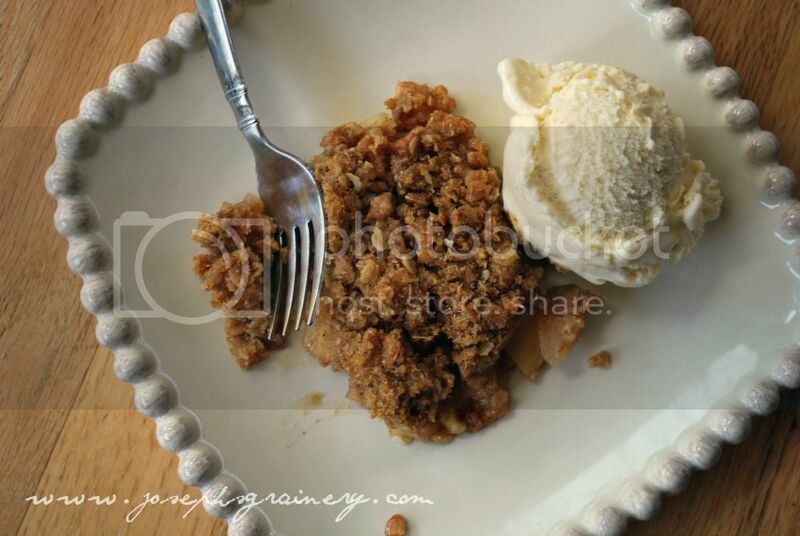 Apple Crisp with Barley Flour - I beg MaMa to make this every Fall when we harvest the apples off our tree! 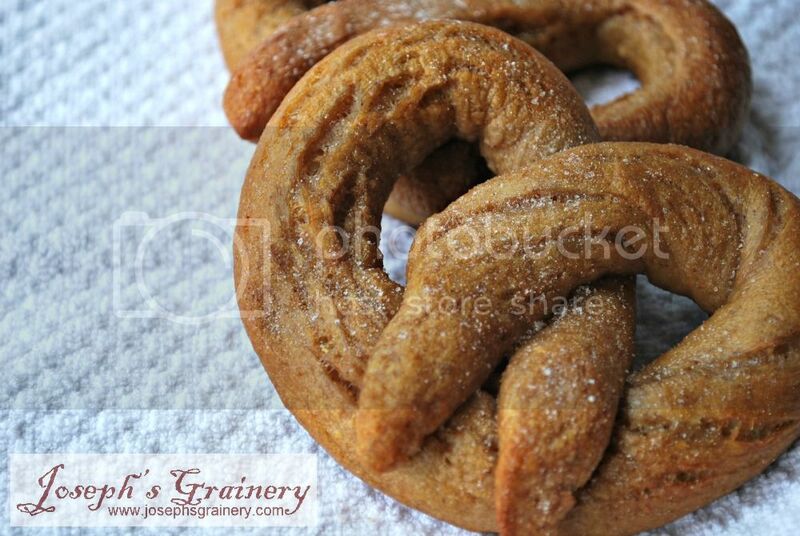 Want even more Joseph's Grainery Barley Flour recipes? We think you'll like Barley Flour as much as we do. Joseph's Grainery Barley Flour is special and may not be like any other barley flour you may have seen before. Why, you ask? Well, we mill the entire kernel of the barley, including the hull. Most of barley's nutrients are found in the hull, so we leave it in place. Yep, that's right, we mill the barley unhulled. Try it, we think you'll like it. 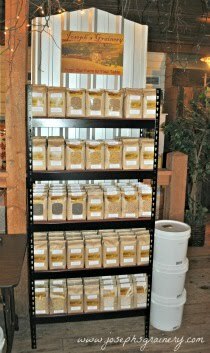 Visit one of our great retailers or order Joseph's Grainery Barley Flour online.